This is Samantha’s retired Summer Outfit. The outfit was removed from the box and put into another box, where I misplaced it. I’ve put it into another AG box. It includes the dress, tam (hat), and boots. $50 plus shipping (current- as of Feb 2010- price it’s going for on Ebay, but I’m not taking less). Here’s the detailing on the back. I love it! 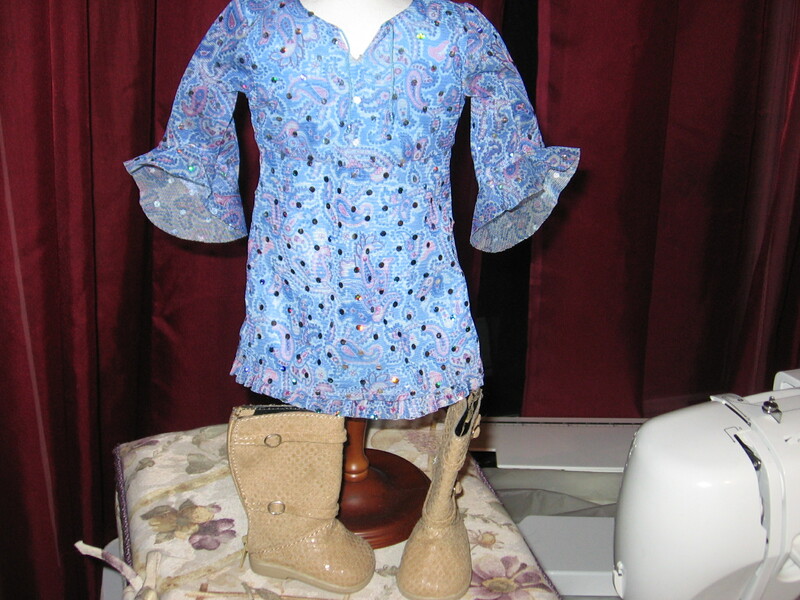 This outfit includes the dress and boots but does not include the bracelet or hair clip. 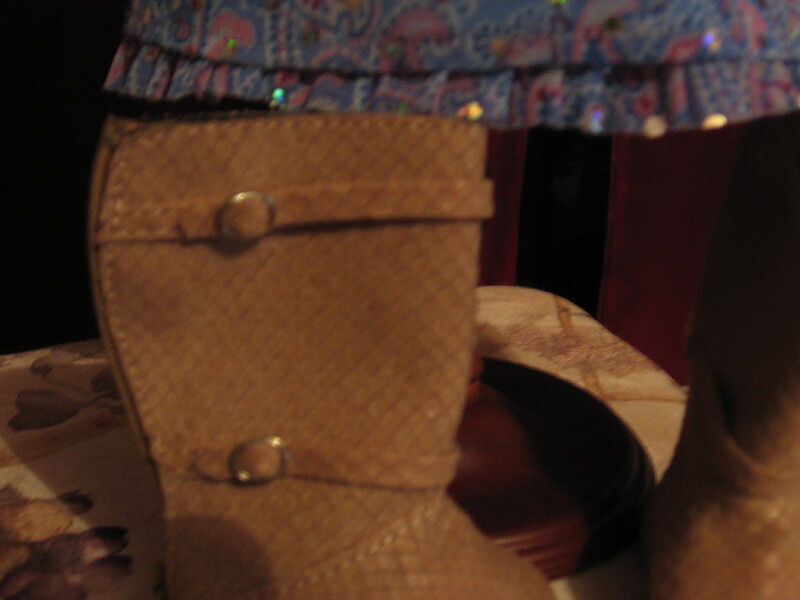 Check the next two pictures to see the beautiful detailing on this outfit. $25 plus shipping (what I paid). 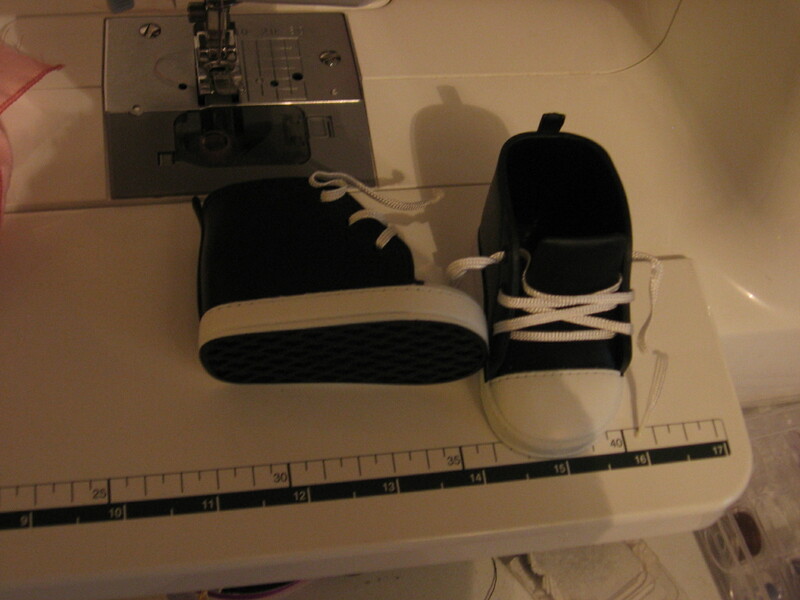 Here is the detailing on the boots and the hem. 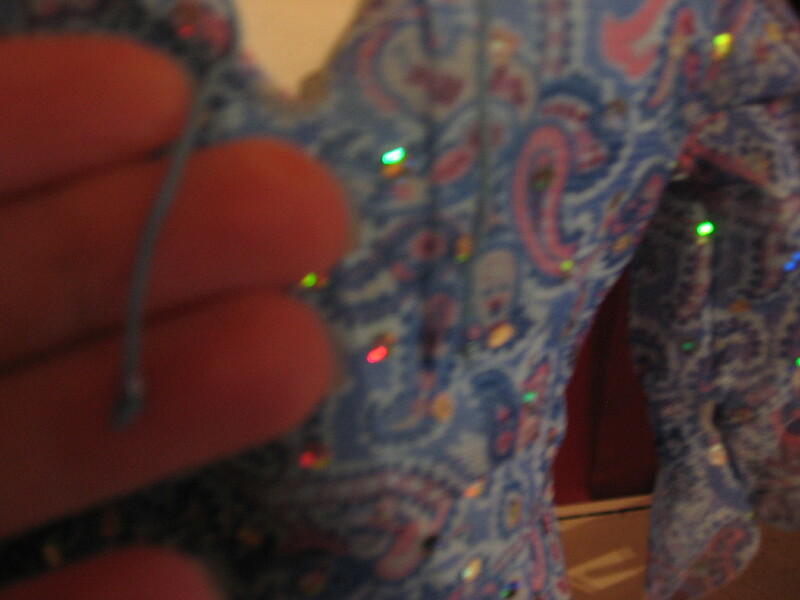 Here’s a closeup of the dress detailing- it’s very well made, just not my style. There are little tiny beads on the ties. $40 plus shipping (currently the low end of Ebay pricing for outfits that don’t include the booklet or heart hanger). 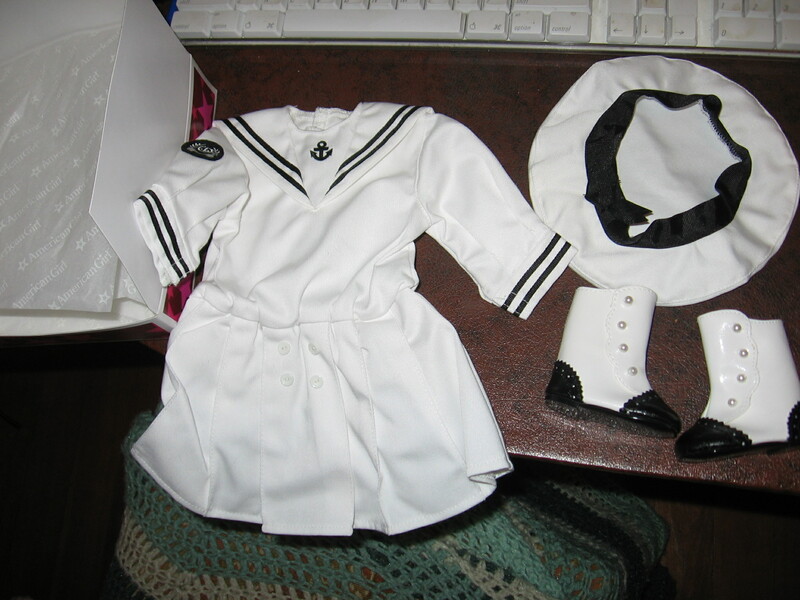 Mint In Box Kirsten outfit purchased in 2001 from AGP Chicago (not by me). 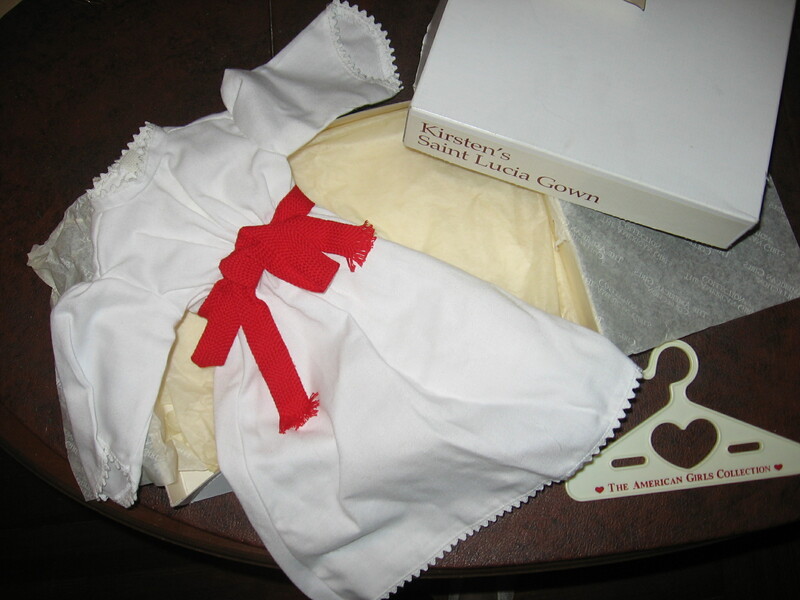 The box has wear and the dress smells a tiny bit musty (not noticeable except when you purposely sniff the fabric) possibly from being stored. The box has a lot of wear (and the tissue paper is ripped) but is a unique design that I haven’t seen before. 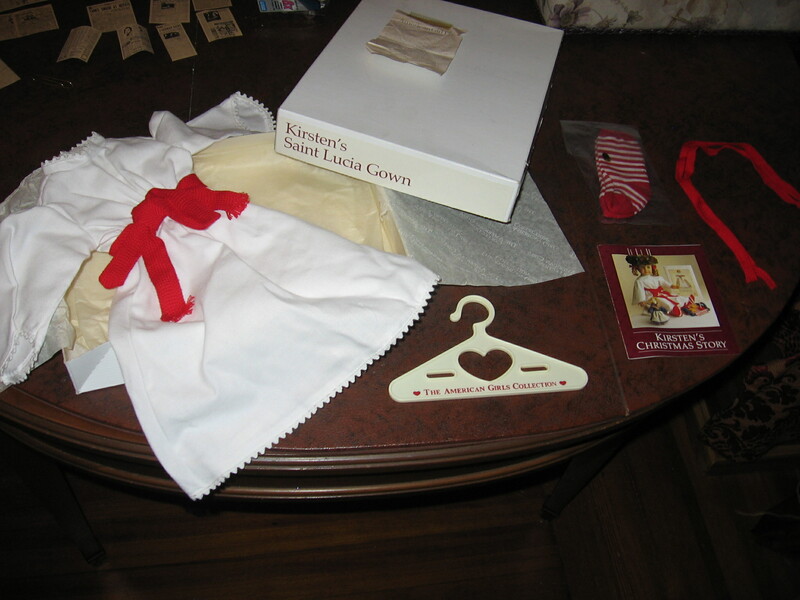 The old school hanger and booklet are included. Here’s a close-up of the dress. This is the kimono only. There are several pulls in the fabric. $5 plus shipping. 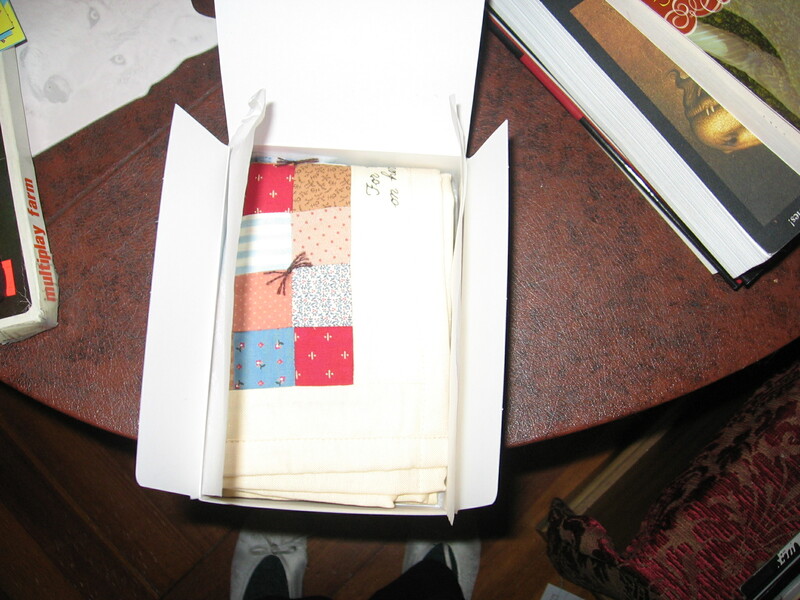 This is the quilt only- no quilt kit. I bought the quilt before the kit was included, so I bought this later to get the kit. $30 plus shipping (current Ebay prices for quilt and kit are $45 to $50). $20 plus shipping includes dress, shoes, bracelet, and headband. 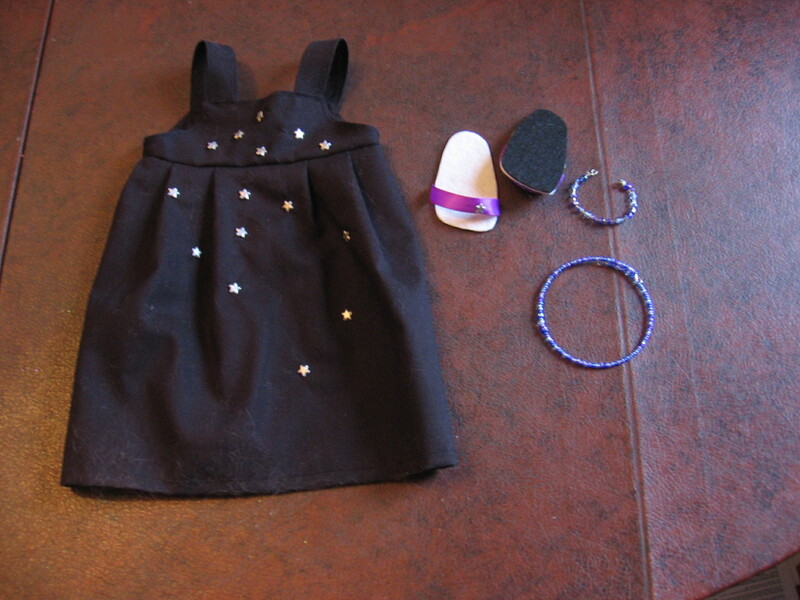 This particular dress does not have the purple waist ribbon, because I realized that I forgot to sew it on after I’d already added the stars. 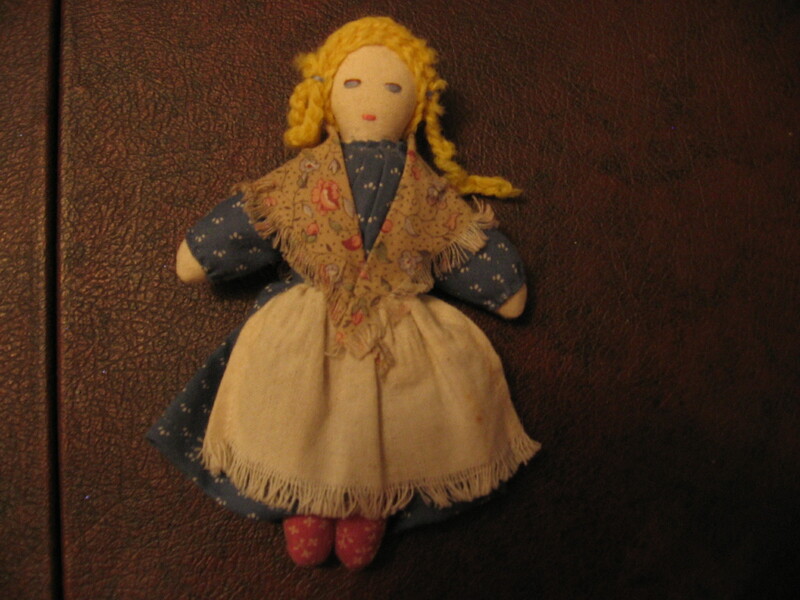 I can in the future make the same dress again or make another with different fabric and the same pattern. Let me know if you’re interested. The stars on the flipflops are the same as the stars on the dress. The flip-flops are white on the top and black on the bottom. You can see a tiny bit of the bracelet and headband detail too, but let me know if you want a detail shot. The doll is not included. Here’s another angle. The headband looks odd because Cassie’s hair is very puffy. 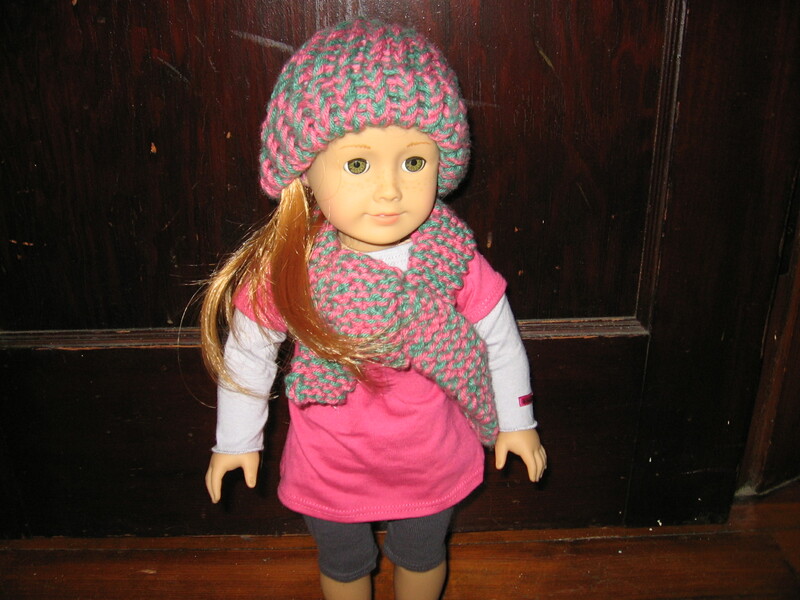 Rose and Thorn colors scarf and hat set for American Girl Dolls. $10 plus shipping. 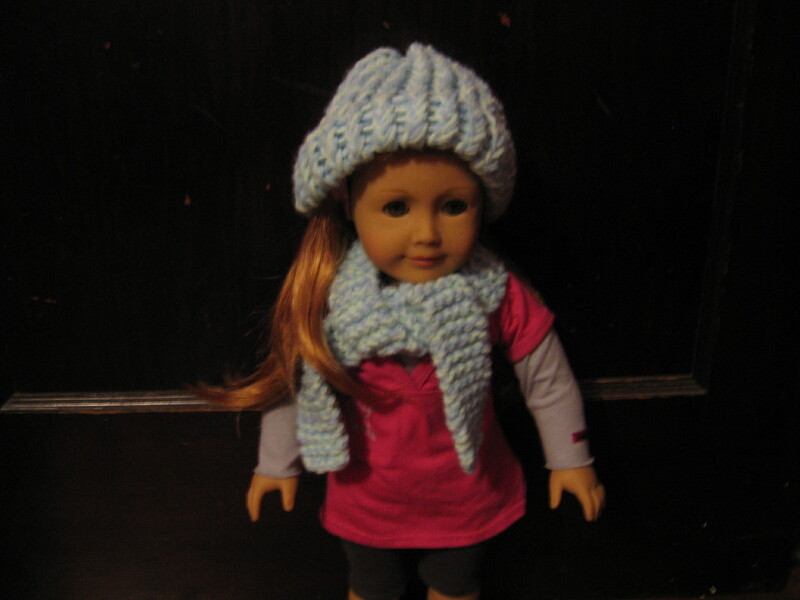 Baby blue and green colors hat and scarf set for American Girl Dolls. $10 plus shipping. 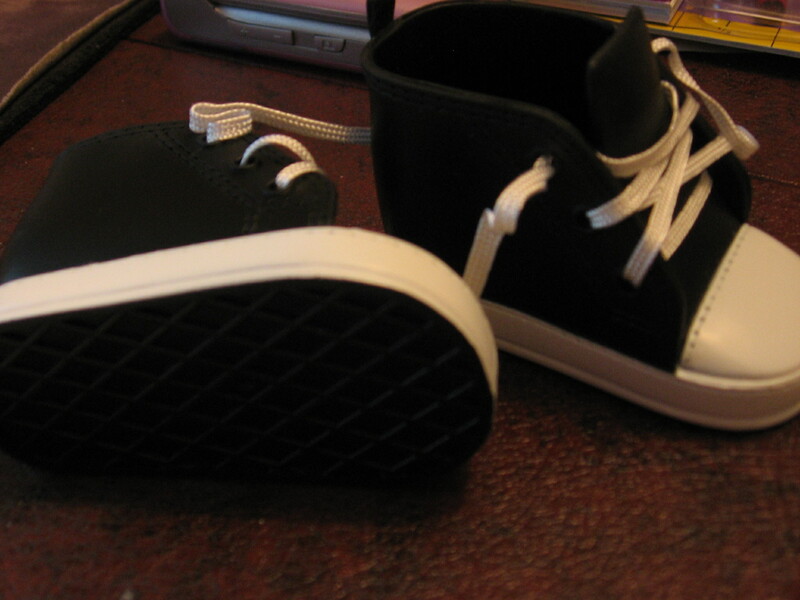 As you can see- the detailing is nice. 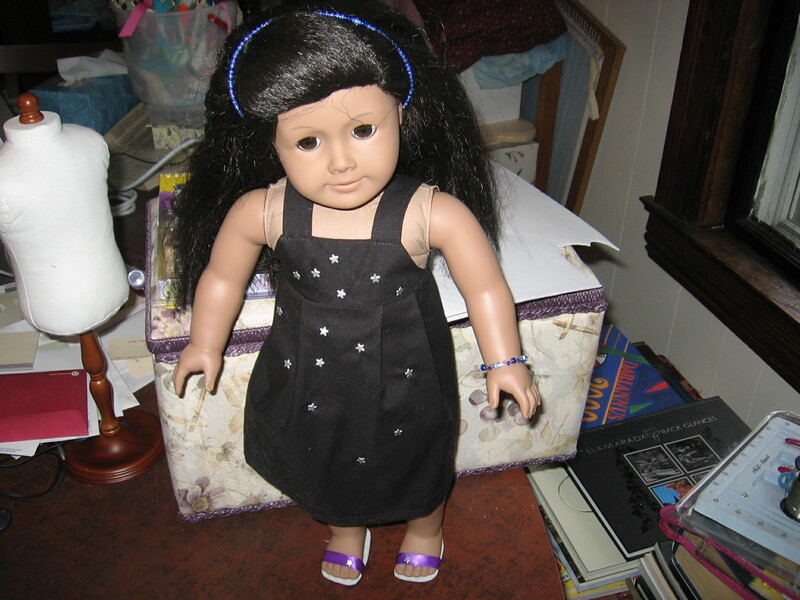 They fit American Girl dolls. 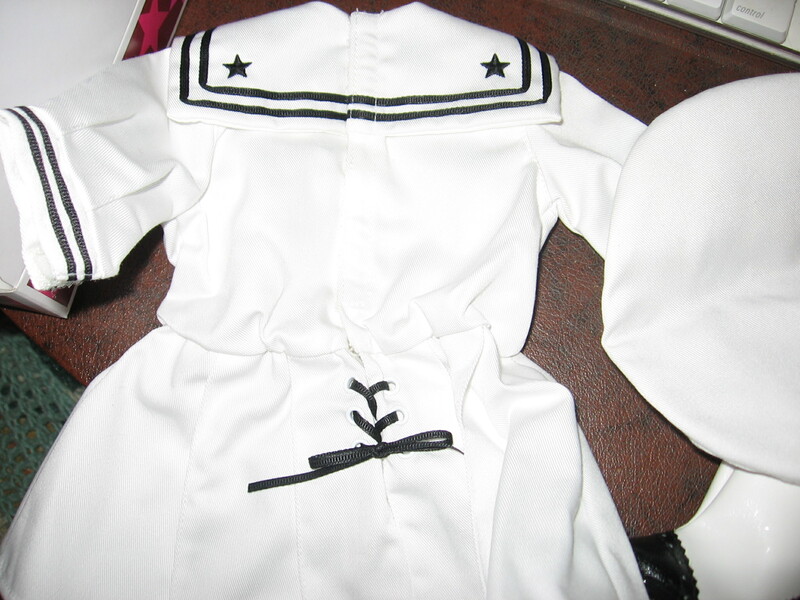 I did not make this Easter playsuit with brightly colored eggs, and I’m reducing my made for AG outfits not made by me. 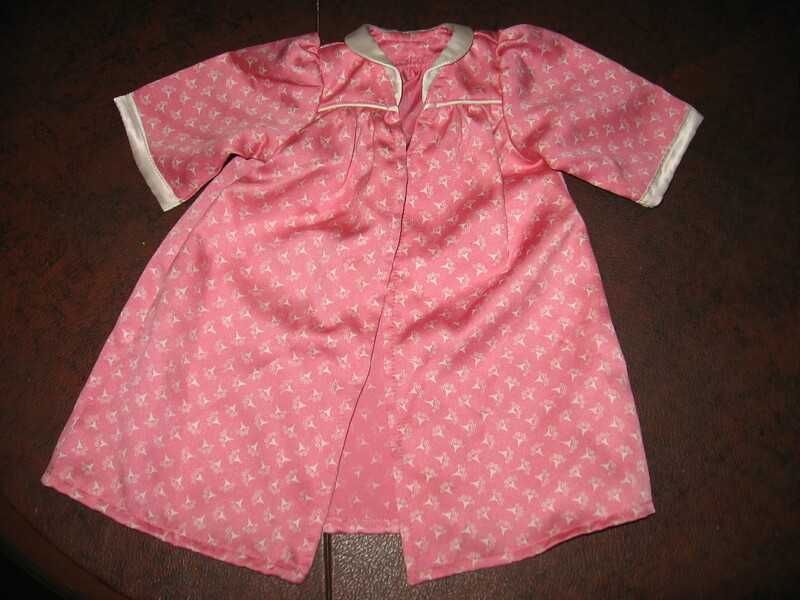 This means that you can buy this for easter play or as a pajama for ten dollars. 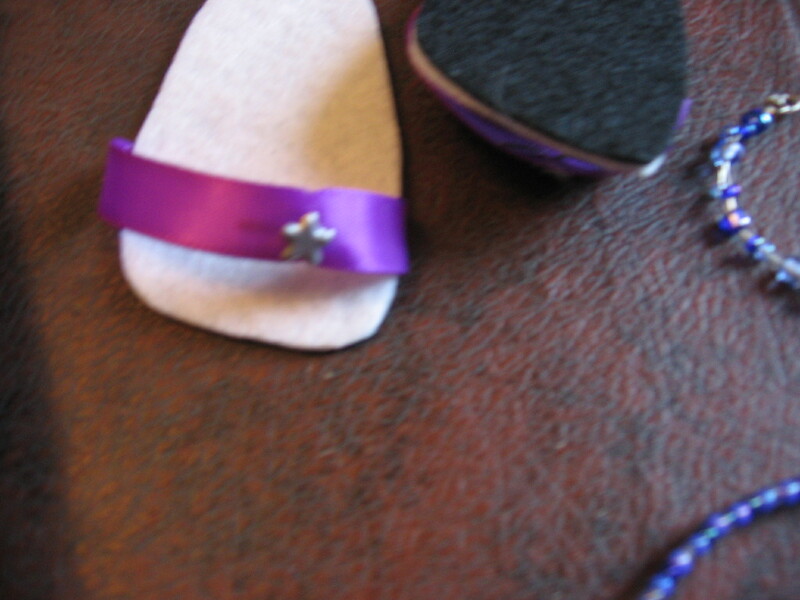 The purple ribbon on the front is a tiny bit frayed. $5 plus shipping. This “Cat in the Hat” hat fits American Girl Dolls. $5 plus shipping. My mom got it for me- now it can be yours! Here’s the hat on Mary! 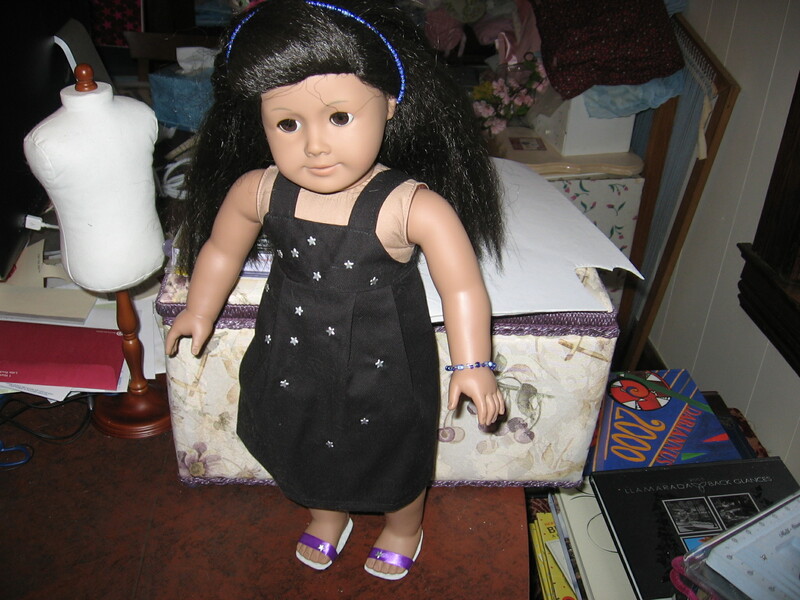 As you can see it just fits American Girl dolls. This wicker chair is being sold for $10 (which is I think what I originally paid for it). It is the perfect size for American Girl dolls, although I think I bought it because it looked exactly like a Magic Attick doll chair. 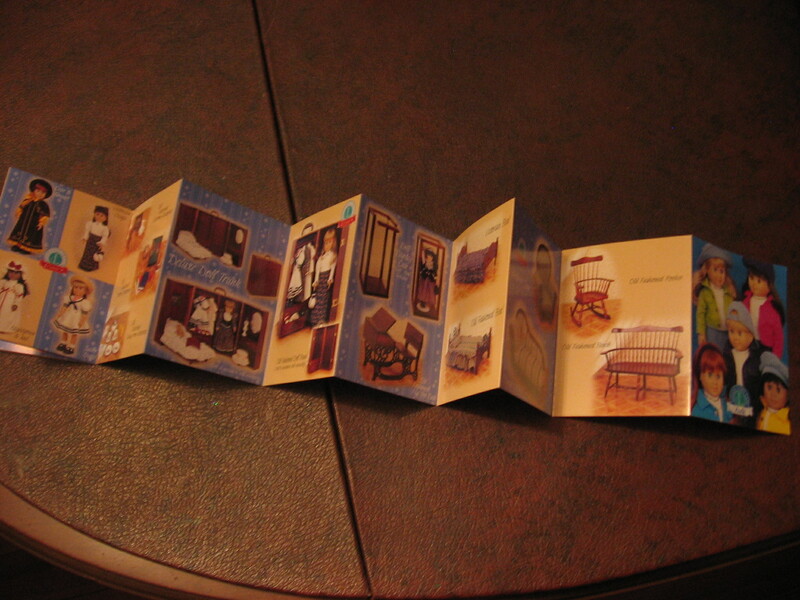 The doll is not included, but it allows you to see the size of the chair when the doll sits in it. It’s perfect for American Girls! A friend made this Necklace and bracelet for the American Girls, and now you can have them for a dollar for both or free with another item. A friend made this matching necklace with clasp and bracelet set for the American Girls, and now you can have both for only a dollar or free with another item!